It’s a Wednesday in September and the ornate lobby of the Olympia Theater at downtown’s Gusman Center for the Performing Arts is once again the busiest jazz room in town. By the start of tonight’s show by Afro-Cuban jazz group Oriente, every seat will be taken, and latecomers will be standing in the back. The variety of skin colors, dress, languages and accents mirrors the diverse makeup of South Florida in a way that few gatherings do. The event is free, so people wander in and out, unhurriedly, like at a neighborhood party. In the back of the room, quietly overseeing the proceedings, an impeccably dressed man greets visitors as they walk in and then fades back into the background. Keith Clarke, founder and director of the Miami Jazz & Film Society, has a talent — honed through many years of practice — for being present while remaining invisible. During the day, Clarke works as a security officer/concierge at the Miami Tower in downtown Miami. 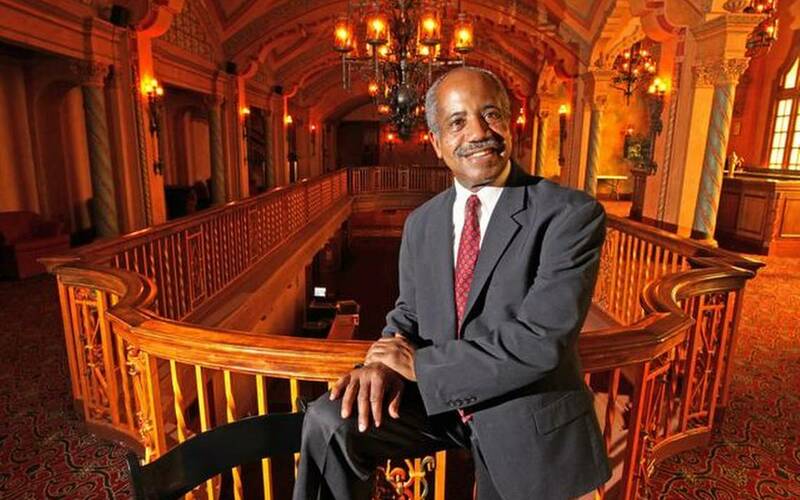 For years before he launched his jazz series at the Gusman, after bankers, attorneys and their clients had left for the day and the building had come to rest, Clarke shared his love of jazz and film in a monthly jazz night at the Tower’s Sky Lounge and a weekly film series in the building’s auditorium. For a while, the Tower paid half the bands’ fees. Last year, Clarke paid for everything himself.